Behroz Rahimiyan studied Fine Art at the University of Tehran. He is master of the santoor, a trapezoidal shaped stringed instrument originally known as the shata tanti veena, the instrument of a hundred strings. He also plays the qanoon, with which he performed in these concerts. Awat Afroozi, is from Saqez in Kurdistan Iran. He studied sound engineering at the University of London and plays the piano, guitar, ney and zarb. The zarb is considered the principle percussion instrument of music from Kurdistan Iran, and is also known as the tonbak or donbak. Zana studied art at the University of Sulaymaniyah. 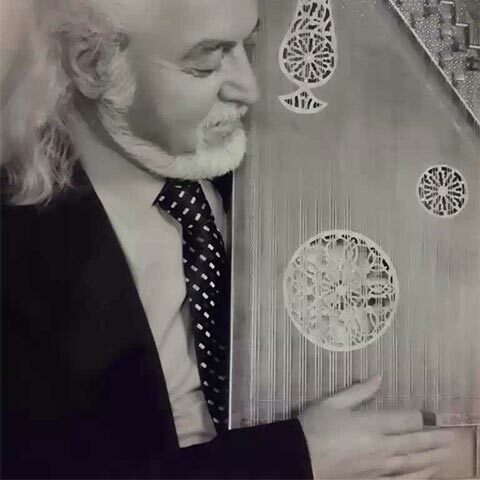 He plays the oud, one of the most popular stringed instruments of the Middle East, and the setar. Two musicians from the Taqasim Music School played contemporary music from the Middle East on instruments including the oud, tar, ney and tanbur.